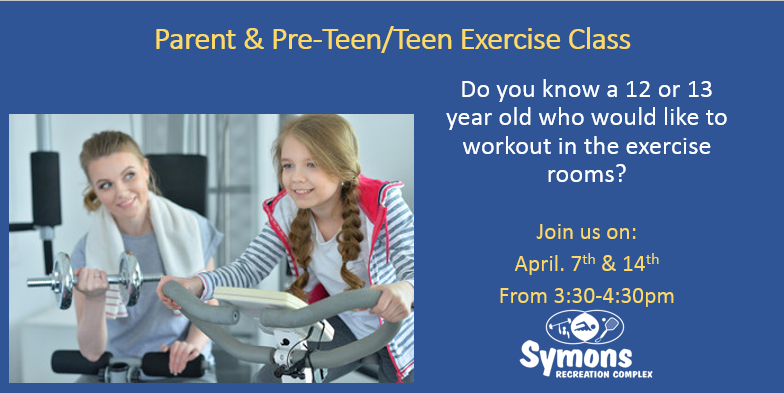 Does your 12 or 13 year old child(ren) want to use the exercise room? Once this class is completed, 12 and 13 year old children will be able to use the weight room with their parent/guardian. This one hour class meets for two Sundays.